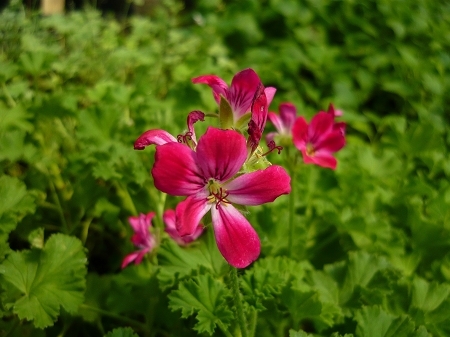 Lime (Pink Champagne) Scented Geranium - Dark green leathery leaves with a citrusy scent. Large hot pink blooms in early Spring. Makes an outstanding container plant. Culinary. Perennial zones 10-11+ Live starter plant in 3 inch container.